It seems fitting. 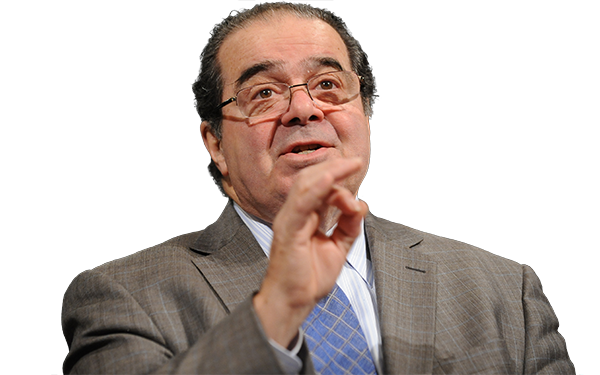 In life, Antonin Scalia was perhaps the most influential and controversial jurist of the modern era. While his admirers cherished his powerful mind and his detractors considered him a bully or worse, virtually no one denied his impact over three decades on the United States Supreme Court. It therefore seems somehow appropriate that his death will have far-reaching implications. Prior to Scalia’s death, education law was on the brink of revolution, as I wrote about in this January essay for The 74 that surveyed a series of cases set to make their way to the top court. Although Scalia was not a central player in that revolution, his death immediately changes some things about these pending decisions — and his successor could change everything. The case of Friedrichs v. California Teachers Association provides an instant case study of the impact of Scalia’s death. Today, anti-reform teachers dominate low-turnout union elections; so pro-student teachers have little voice. The leaders chosen from this skewed process, however, collect compulsory dues even from teachers who disagree with their policy views. During the Friedrichs oral arguments, Justice Scalia signaled clearly that this arrangement violated the First Amendment, and that therefore he would join four other justices in prohibiting teachers’ unions from collecting compulsory dues. This decision would have changed education politics overnight. The unions spend roughly $700 million per year opposing reforms with far more stridency than teachers on average would prefer. This anti-reform advocacy budget is far larger than that of all other education policy advocacy combined, including those of pro-reform teachers, parents, corporations, and philanthropists. Without compulsory dues, the union leaders would be forced to solicit funds from all teachers, balancing the politics of education by giving voice to the pro-student voices in the teaching profession. With Scalia’s death, however, the Friedrichs case goes from near-certain victory for students to near-certain victory for the bureaucracy. Four Justices have signaled that they will vote with the California Teachers Association. With only eight Justices now on the Court, the best Friedrichs could hope for is a 4-4 tie. By law, a tie vote upholds the lower court’s decision. Rebecca Friedrichs had lost at the lower court level, so for her cause, a 4-4 decision is a loss. Although the remaining eight Justices might work out some compromise opinion, a clear ruling against compulsory dues is no longer in the cards. The best students can hope for is that the Court will issue a per curiam decision with no opinion, with an individual dissent from a pro-reform Justice underscoring the problems with the status quo and inviting a future plaintiff to bring a case to a full nine-member Court. If a future Friedrichs-style challenge is appealed to the Supreme Court, how will the newest Justice rule on the many education law cases working through the system? Unions have challenged parent choice in the courts, including a lawsuit against vouchers in Florida, a successful action against charter schools in Washington, and a new civil rights lawsuit against charter schools. Student plaintiffs have challenged the status quo from the other direction; the case of Vergara v. California, which held that a school bureaucracy violated the constitutional rights of students of color, will likely be appealed to the Supreme Court. Students have also asked courts to strike down barriers to choice, such as a lawsuit against the charter school cap in Massachusetts. Scalia’s successor could be a decisive voice on all of these issues. Political posturing over the next Justice began immediately after Scalia’s death, as Senate Republicans pledged to prevent Obama from naming a successor. With a 54-46 majority in the Senate, and an 11-9 majority on the Senate Judiciary Committee that vets judicial nominees, Republicans could conceivably stonewall a successor for the remaining 11 months of Obama’s term. And as The 74 has documented, the presidential candidates differ markedly on education issues (see their breakdown of K-12 priorities for all eight remaining candidates). Scenario One: A New Pro-Student President Nominates Someone Like Clint Bolick: Three of the plausible presidential candidates — Jeb Bush, John Kasich and, if he decides to run, Michael Bloomberg — have made pro-student reforms central to their political personas. As President, one of these men may well nominate someone like current Arizona Supreme Court justice Clint Bolick, whose career prior to the bench focused on suing bureaucrats on behalf of individuals. Bolick would have a likely champion on the Senate Judiciary Committee in Arizona’s Jeff Flake, who has long advocated student choice. With someone like Bolick as the swing Justice on education issues, student empowerment would accelerate. Scenario Two: A New President Chooses A Pro-Bureaucracy Nominee: Two of the plausible candidates — Donald Trump and Bernie Sanders — have indicated that they will support the existing education bureaucracy. Trump’s candidacy has been marked by attacks on the Common Core accountability movement, and by attacks on Jeb Bush who made pro-student reforms the centerpiece of his governorship of Florida. Bernie Sanders has flatly stated his blanket support for government school bureaucracies in many contexts, including his personal opposition to all forms of parent and student choice. Both of these candidates, and others, would be unlikely to spend the political capital on a jurist with any distinctive pro-reform philosophy. In a plausible worst-case scenario, an anti-reform jurist could stall or reverse pro-student legal trends. Scenario Three: President Obama Installs a Justice Like Sri Srinivasan: Despite D.C.’s toxic partisanship, President Barack Obama and House Speaker Paul Ryan recently found a budget compromise. A similar feat is possible with a Supreme Court nominee. Although opposing Obama helps Republicans demonstrate their partisan bona fides, stalling for 11 months on a decisive Supreme Court Justice could be politically dangerous — especially in light of the uncertainty about who might be nominated under different electoral scenarios. Indeed, education law might even help make compromise possible, as it is one of the few remaining areas where many Republicans and Democrats can still find common ground. The Senate Judiciary Committee’s Democrats backed President Obama’s pro-reform Race to the Top law, while the committee’s Republicans have gone on record opposing existing school bureaucracies. In addition to Arizona’s Flake, Orrin Hatch of Utah and John Cornyn of Texas have long been especially vocal advocates for student choice. Obama and the Committee could compromise over a nominee such as appellate judge Sri Srinivasan, whose recent 2013 nomination to the Court of Appeals was approved on a 97-0 vote with strong praise from Republicans. Srinivasan’s views on education issues are not well known, but he is widely touted as a brilliant and pragmatic jurist. (Full disclosure: I practiced law with Srinivasan in 2002-2003, but to my recollection we never discussed education issues.) Although Srinivasan’s rulings on education issues are therefore not a given, his brainpower and open mind would give students a fair shot. Pro-student legal reform trends might slow or accelerate, but would likely at least continue. Have Education Advocates Missed Their Moment? Politically powerful school bureaucrats have controlled education policy for over a century, to the detriment of all students and especially students from disadvantaged backgrounds. The Supreme Court seemed only months away from reversing that trend, with a wave of new legal precedents that would empower individual students and parents, and potentially ignite a renaissance in American public education. Although Scalia was not a key player in those legal changes, his swing vote on First and Fourteenth Amendment issues was vital. It swung the majority in that direction. It will now be up to Senate Republicans to determine, with their votes, whether the pro-student trajectory of the law accelerates, stalls, or reverses. Dmitri Mehlhorn is a Democratic activist, donor and investor. He currently serves on the Board of Directors of StudentsFirst, a bipartisan organization that advocates on behalf of students as a counterweight to the teachers unions. He spent two years as the founding chief operating officer of StudentsFirst, and also was a co-founder of Hope Street Group, a national nonprofit pushing for equal opportunity in jobs, healthcare and education.